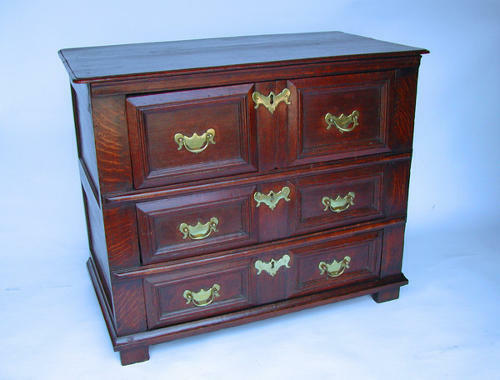 17thc Oak Chest of Drawers. English. C1660-70. A rare 17thc Charles 11 Oak Chest of Drawers, excellent small size with a good colour....it has fielded panels on the drawers and stands on it's original stile feet!